The Gila River and Wilderness are the heart and soul of A Song for the River. Every summer since 2002, Connors has been perched in a tower 50 feet above the Gila Wilderness, watching for fire. His first book, Fire Season (30,000 sold), recounted the deep lessons learned about mountains, wilderness, fire, and solitude. 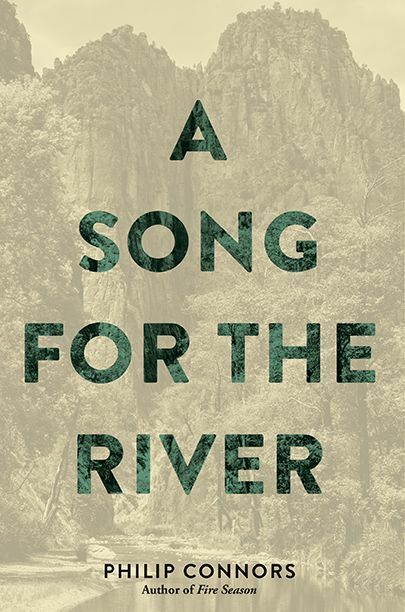 A Song for the River, its sequel, updates and deepens the story: the mountain he loves goes up in flames; a lookout on another mountain whom he has come to love as a brother dies in a freak accident; and three high school students he admires die tragically in an airplane crash while researching the wilderness and the wild river they wish to save. Connors channels their voices in a praise song of great urgency and makes a plea to save a vital piece of our natural and cultural heritage: the wild Gila River, whose waters are threatened by a potential dam. P hilip Connors, a Wall Street Journal copy editor in a previous life, grew up on a farm in Minnesota and studied print journalism at the University of Montana. 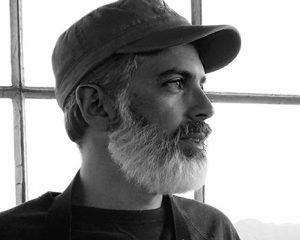 In 2002, he left New York and the WSJ to become a fire lookout in New Mexico’s Gila National Forest. He’s been there every summer since. That experience became the subject of his first book, Fire Season: Field Notes from a Wilderness Lookout, which won him national acclaim. Fire Season won the National Outdoor Book Award, the Sigurd Olson Nature Writing Award, the Reading the West Award for non-fiction, the Grand Prize from the Banff Mountain Book Competition, and the Best Nature Book of the Year from Amazon. His second book, All the Wrong Places, a memoir of life in the shadow of his brother’s suicide, was published in 2015. He has published essays in The London Review of Books, The New York Times Magazine, the Paris Review, and N+1. He lives in the Mexican-American borderlands. 1. The author has an unusual job: fire lookout. What were your perceptions of a “fire lookout” prior to this book? Did his description of the work surprise you in any way? 2. Several tragedies and cataclysms punctuate the story, including human losses and forest fires. Did you find the author’s quest to find redemption amid those losses persuasive? 3. Ashes and water are two of the recurring elements in the book. How does the author weave them into the story, and how does he weave them together? What do they represent, separately and together? 4. A major thread in the book involves friendships lost, and friendships made in the aftermath of loss. Did the author’s description of those friendships mirror anything in your own experience? What role does grief play in his friendships? 5. The landscape is as much a character as any of the humans in the story. Did you find the author’s description of it vivid and convincing? Use three adjectives to describe the author’s characterization of the landscape. What is the story arc for the land, and how is that woven into the story arc for the author? 6. The author admits to flouting some of the conventions of the typical “nature book,” particularly in regards to the unusual beginnings of a love affair. How did you react to his description of that relationship? 7. In some ways, this story is very human–about relationships, and loss, and grief, and love, the sorts of things we all relate to. In another way, this is a very political book making a specific argument about the human relationship to nature and our responsibility towards the wilderness that still exists. How did you engage with the political argument? Were you persuaded? Why or why not? The landscape where I work, in far southwest New Mexico, is one of the most fire-prone areas in America. I look out over a stretch of country with nearly a million acres of roadless wilderness, where an annual upsurge of moisture from the Gulf of Mexico combines with the summertime heat of the Chihuahuan Desert to create tens of thousands of lightning strikes. In an arid land with brief but intense storm activity, wildfire is no aberration. My lookout tower is situated five miles from the nearest road, on a ten-thousand-foot peak in the Gila National Forest. I live here for several months each year, without electricity or running water. Although tens of thousands of acres are touched by fire here every year, I can go weeks without seeing a twist of smoke. During these lulls I simply watch and wait, my eyes becoming ever more intimate with an ecological transition zone encompassing dry grasslands, piñon-juniper foothills, ponderosa parkland, and spruce-fir high country. On clear days I can make out mountains 180 miles away. To the east extends the valley of the Rio Grande, cradled by the desert: austere, forbidding, dotted with creosote shrubs and home to a collection of horned and thorned species evolved to live in a land of little water. To the north and south, along the Black Range, a line of peaks rises and falls in timbered waves; to the west, the Rio Mimbres meanders out of the mountains, its lower valley verdant with riparian flora. Beyond it rise more mesas and mountains: the Diablos, the Jerkies, the Mogollons. It is a world of extremes. Having spent each fire season for nearly a decade in my little glass-walled perch, I’ve become acquainted with the look and feel of the border highlands each week of each month, from April through August: the brutal gales of spring, when a roar off the desert gusts over seventy miles an hour and the occasional snow squall turns my peak white; the dawning of summer in late May, when the wind abates and the aphids hatch and ladybugs emerge in great clouds from their hibernation; the fires of June, when dry lightning connects with the hills, sparking smokes that fill the air with the sweet smell of burning pine; the tremendous storms of July, when the thunder makes me flinch as if from the threat of a punch; and the blessed indolence of August, when the meadows bloom with wildflowers and the creeks run again, the rains having turned my world a dozen different shades of green. I’ve seen fires burn so hot they made their own weather; I’ve watched deer and elk frolic in the meadow below me and pine trees explode in a blue ball of smoke. If there’s a better job anywhere on the planet, I’d like to know about it. The work has changed remarkably little over the course of the past century, except in its increasing scarcity. Ninety percent of American lookout towers have been decommissioned, and only around five hundred of us remain, mostly in the West. Nonetheless, when the last lookout tower is retired, our stories will live on. Jack Kerouac worked a summer on Desolation Peak in the North Cascades, in 1956, an experience he mined for parts of two novels, The Dharma Bums and Desolation Angels. He secured the job through a recommendation by his friend the poet Gary Snyder, who worked summers on two different lookouts in the same national forest and wrote several fine poems about that world, “up there above the clouds memorizing various peaks and watersheds.” During the ’60s and ’70s, that old raconteur Edward Abbey worked at various postings, from Glacier National Park to the Grand Canyon. He wrote two essays on the subject and made a fire lookout the main character in his novel Black Sun, the book he claimed he loved most among all his works. And Norman Maclean [Montana, page 27], in his great book A River Runs Through It, wrote a lightly fictionalized story about his one summer as a lookout on the Selway Forest in northern Idaho, over the Bitterroot Divide from his home in Missoula. Twenty paces from my cabin, sixty-five more up the steps of the tower, and just like that I’m on the job. After cleaning up the mess left by overwintering rats and mice, putting up the supplies I get packed in by mule, and splitting a good stack of firewood, I begin more or less full-time service in the sky, 9 a.m. to 6 p.m., an hour off for lunch—a schedule not unlike that of any other runner on the hamster wheel of the eight-hour workday. For most people I know, my office, a seven-by-seven-foot box on stilts, would be a prison cell or a catafalque. Over the years I’ve made some modest improvements to it in an effort to make it slightly more functional. With a straight length of pine limb and a square of plywood, I’ve fashioned a writing table wedged into one corner of the tower, just big enough to hold my typewriter. It allows me to write while standing; in this way I can type and look out at the same time—the extent of my multitasking. Along the east wall of the tower I’ve rebuilt a rudimentary cot, a body-sized slab of plywood perched on legs cut from an old corral post. Made up with a sleeping pad and a Forest Service bag, it offers ample comfort on which to read and allows me to look out merely by sitting up. In quiet moments I devote my attentions to the local bird life. I listen for the call of the hermit thrush, one of the most gorgeous sounds in all of nature, a mellifluous warble beginning on a long clear note. Dark-eyed juncos hop along the ground, searching for seeds among the grass and pine litter. With no one calling on the radio, I swim languidly in the waters of solitude, unwilling to rouse myself to anything but the most basic of labors. Brush teeth. Piss in meadow. Boil water for coffee. Observe clouds. Note greening of Gambel oak. The goal, if I can be said to have one, becomes to attain that state where I’m completely in tune with cloud and light, a being of pure sensation. The cumulus build, the light shifts, and in an hour—or two—I’m looking at country made new. How did I come upon this aptitude for idleness? I blame it on the injurious effects of my Midwestern youth. At age six I learned the logistics of cleaning manure from the family hog barns. Around the same time, I joined with my brother in plucking rocks from plowed fields and pulling weeds by hand from neat rows of soybeans. Manicured fields and well-kept barns—the whole right-angled geometry of grain farming and its attendant animal husbandry—eventually became synonymous in my mind with a kind of pointless feudal labor that condemned its practitioners to penury or government handouts. At twelve, after the bankers invited us to leave the farm, I took on odd jobs in town—mowing lawns, raking leaves, shoveling snow, gathering aluminum cans to sell at the recycling plant. At fourteen I began a short-lived career in the grocery trade, bagging foodstuffs and mopping spills in the aisles, occasionally filching a box of Little Debbie snack cakes in compensation for a paltry wage. At fifteen I learned to fry donuts in our small-town bakery, 3 a.m. to 8 a.m., six days a week, a job I held until the day I left for college. To pay tuition I painted houses, baked bread, unloaded package trailers at UPS in the middle of the night. I tended bar. I dabbled in the janitorial arts, cleaning the University of Montana fieldhouse after basketball games and circuses. I spent a summer as the least intimidating bouncer in the history of Al & Vic’s Bar in Missoula. I baked more bread. Undergraduate degree in hand at last, I ascended to the most rarefied realms of American journalism—handing out faxes and replacing empty water coolers for reporters at the Wall Street Journal. My tenacity and work ethic established, I was promoted to copyediting the Leisure & Arts page, a job I held for three years. I was anonymous, watchful, and discreet. Four days a week, an unblemished page was shipped electronically to seventeen printing plants across the country, and the following morning nearly two million readers held the fruits of my labor in their hands. At first I resented the lack of attention paid to my mastery of English grammar and the intricacies of the house-style book. Not once did I receive a letter from an armchair grammarian in Terre Haute or Pocatello, one of those retired English teachers who scour the daily paper with a red pen in hand, searching for evidence of American decline in the form of a split infinitive. Nor did my immediate superiors mention, even in passing, that I did my job diligently and well. Over time I began to take delight in this peculiar feature of my job—that my success was measured by how rarely people noticed what I did. I was barely noticed at all. The essentials of my current line of work—anonymity, discretion, watchfulness—are not so different from those demanded of a copyeditor. The lookout life fell into my lap, no effort required. It came to me, in fact, while I was on vacation one summer—seemed like one long vacation itself. I had two days to decide if I wanted the job. I surveyed my past and saw only blind striving; I played out my future and saw an abyss: day after day the guillotine of an evening deadline stretching into the murky distance. How could I refuse such a sweet summer sinecure? That, at its essence, is the story of my talent for sloth. I tried it for the first time in my life. I liked it. The plague of Midwestern Catholic guilt on my conscience notwithstanding, I often feel I could work my mountain as long as I walk upright on earth. Between five and fifteen times a year I’m the first to see a smoke, and on these occasions I use the one essential fire-spotting tool—aside, of course, from a sharp pair of eyes, augmented by fancy binoculars. That tool is the Osborne Fire Finder, which consists of a topographic map encircled by a rotating metal ring equipped with a sighting device. The sighting device allows you to discern the directional bearing of the fire from your location. The directional bearing—called an azimuth—is expressed by degree markings along the outside edge of the ring, with 360 degrees being oriented with true north. Once you have an azimuth, you must then judge the fire’s distance from your perch. The easiest way to do this: alert another lookout able to spot the smoke, have her take her own azimuth reading, and triangulate your lines. We lookouts call this “a cross,” as in, “Can you give me a cross on this smoke I’m seeing at my azimuth of 170 degrees and 30 minutes?” If this can’t be done—the smoke is too small to be seen by another lookout or its source is hidden by a ridge—you’re thrown back on your knowledge of the country. Protocol dictates that you locate each fire by its legal description, or what we in the trade simply call its “legal”: ideally within one square mile, by township, range, and section, the square-ruled overlay on American property maps. A new fire often looks beautiful, first a wisp of white like a feather, a single snag puffing a little finger of smoke in the air. I see it before it has a name. Like Adam with an animal before him, I will give it one, after I nail down its location and call it in to dispatch. We try to name the fires after a nearby landmark—a canyon, peak, or spring—but there is often a touch of poetic license involved. Some years there is more than one fire in a place called Lone Mountain; knowing this, we’ll name the first the Lonesome Fire and the second the Dove Fire. Or say a fire pops up in Railroad Canyon, but there’s already been a Railroad Fire that year. Something like Caboose Fire would be acceptable. Once I’ve spotted a fire, my superiors must choose a response. For most of the twentieth century the reaction was preordained: full suppression. A military mindset prevailed in the early Forest Service, and the results for America’s public lands proved disastrous. Attacking every fire the moment it was spotted warped ecosystems that had burned on a regular basis for millennia; it convinced retreating urbanites that they could build their dream homes amid the forests with impunity. Smokejumpers would float out of the sky and save the day if the call came. The fact remains that wildfire has a mind of its own, as we’ve learned the hard way. The lessons will only get harder in a warming world, but here on the Gila, officials are committed to making fire a part of the life of the forest again. They let certain lightning-caused fires burn for weeks at a time, over tens of thousands of acres, making the Gila healthier than it would be otherwise: more diverse in the mosaic of its flora, more open in its ponderosa savannah, with less of the brushy ladder fuels that now make the American West an almost annual show of extreme fire behavior. With crews on the ground monitoring big blazes, we are their eyes in the sky, watching their weather when they sleep outdoors, letting them know when lightning is coming or the wind has changed. Such information, relayed in timely fashion, can mean the difference between life and death. Still, there’s little doubt I’m practicing a vocation in its twilight. Some in the Forest Service have predicted our impending obsolescence, due to more powerful radios, more sophisticated satellites, even drone airplanes—the never-ending dreams of the techno-fetishists. If there’s one axiom of the world we’ve made for ourselves, it’s that technology will always find ways to replace the inefficient human hand. But in a place like the Gila—where so much of the country remains off limits to vehicles and industrial logging—lookouts are sometimes the only link to the outside world for backcountry crews of all kinds: fire, trails, game and fish, law enforcement. We are also much cheaper than aerial surveillance. Safety and fiscal prudence—these will be the saving graces of the lookouts who manage to hang on. Even for those of us who do, it’s not difficult to imagine a future in which our most important task is to maintain a set of panoramic high-resolution cameras with live feeds to distant offices. Someday, no doubt, we’ll be equipped with laptop computers and sophisticated mapping software with 3D graphics. Instead of learning the lay of the land the old-fashioned way, by walking its contours and staring at it for hours upon hours from above, we’ll become on-site caretakers for an array of gadgets that render an intimate human knowledge of the country superfluous. Or so we’ll be told. The lookouts of old, who not only kept watch over the forests but saddled their horses with tools at the ready to put out a smoke the moment it showed, will surely spin in their graves. As for the smokejumpers and hotshot crews who once relied on lookouts to know the condition of trails and the density of fuels in a specific locale, they’ll have to discern what information they can from their handheld GPS units. For anything else, they’ll be on their own. Aldo Leopold, the man who drafted the plan to preserve the Gila Wilderness in 1922, a plan that made the headwaters of the Gila River the first piece of land in the world to be consciously protected from industrial machines, once wrote, “I am glad I shall never be young without wild country to be young in. Of what avail are forty freedoms without a blank spot on the map?” Survey the Lower Forty-eight on a coast-to-coast flight, and the most interesting country never fails to be that without roads. Down there amid one of those fragments of our natural heritage is a forest that burns and a desert that dances, 20,000 square miles of cruel and magnificent country visible from a tower nearly two miles above sea. The view some days cannot be fathomed, so I turn back to the earth beneath my feet. Wild candytuft bloom under the pine and fir, followed later by wallflowers, paintbrush, mountain wood sorrel, Mexican silene. On my evening rambles I find stellar’s jay and wild-turkey feathers, snake skins and mule-deer bones. Now and then an hour of hunting turns up a relic in the dirt, not far from the base of my tower: a turquoise bead or a Mogollon potsherd, white with black pattern, well more than eight hundred years old. I am given to understand these people once gathered in the high places and brought with them their crockery. They sacrificed their pots by smashing them to earth in hopes the sky gods granted rain. I am not alone in my commun­ion here with sky. Far from it. The ravens and the vultures have me beat by two hundred feet, the Mogollons by most of a millennium. And who’s to say the dust motes off the desert don’t feel joy, if only for a moment, as they climb up into sky and ride the transport winds?